It’s not that Terrelle Pryor wanted to switch positions, but he had no choice. The former quarterback is now starting another ‘last chance’ stint, this time with the Cleveland Browns, with completely different expectations of him performance-wise. Pryor hasn’t played since the 2013 season with the Oakland Raiders. He was released by the Cincinnati Bengals on June 18, four days later picked up by the Browns off the waivers. This time, not as a quarterback, but with the team expecting him to play wide receiver and maybe even tight end. Pryor used the term ‘slash player’ in his recent comments about his new team and his new, maybe final, opportunity to find himself a home in the NFL. What is a slash player? A hybrid of sort, something Kordell Stewart was an expert in before becoming a full-time quarterback. A blend between running back, wide receiver and sometimes quarterback. To implement it completely calls for some special play calling, but it’s never a bad thing to have a versatile player on your side, especially when the quarterback situation in general isn’t very favorable for the Browns. 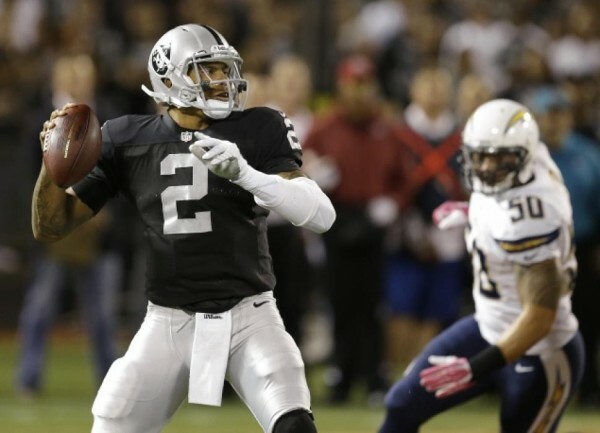 Pryor had some exciting moments as a starting quarterback for the Raiders in 2013, especially when he took off running. As a pocket passer? That was never something he excelled at. But there are worse options to have under center. In any case, Pryor intends to train with Steelers’ wide receiver Antonio Brown and Randy Moss to adapt to his position switch before the Browns’ training camp begins later this month.